In most instances, buying a home will be the biggest purchase any of us will ever make in our lifetime. In addition to buying a home, many of our clients buy investment properties, recreational properties, and/or business properties. The purchase of any piece of real estate requires special considerations that require the assistance of a skilled attorney. In recent years, more and more real estate transactions of every description are being handled exclusively by realtors and title companies who act as closing agents. None of the individuals involved in those two processes will provide you with skilled legal advice that could potentially save you thousands of dollars in the future or frankly, could result in the difference between keeping or losing the real estate that you have purchased. The purchase of any piece of real estate requires the navigation of a minefield of potential problems including: title issues, surveying issues, inspection issues, weatherization concerns, environmental concerns, access issues, mineral rights, riparian waterfront rights, etc. In real estate, what you see is not always what you get! 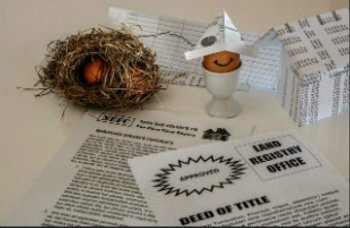 Cirilli Law Offices, S.C. has handled thousands of land transactions for clients over the years, and we will help you navigate the minefield of concerns that have to be addressed to insure that your purchase of real estate does not come with some unexpected surprise. Let us help you make sure that your purchase of a home, hunting property, cottage, or business real estate is a carefree, enjoyable experience. If you have any questions regarding the above or need aditional information regarding the above, please contact Atty. John M. Cirilli by e-mail at john@cirillilaw.com.